Ships today if you order in the next 15 hours 24 minutes. 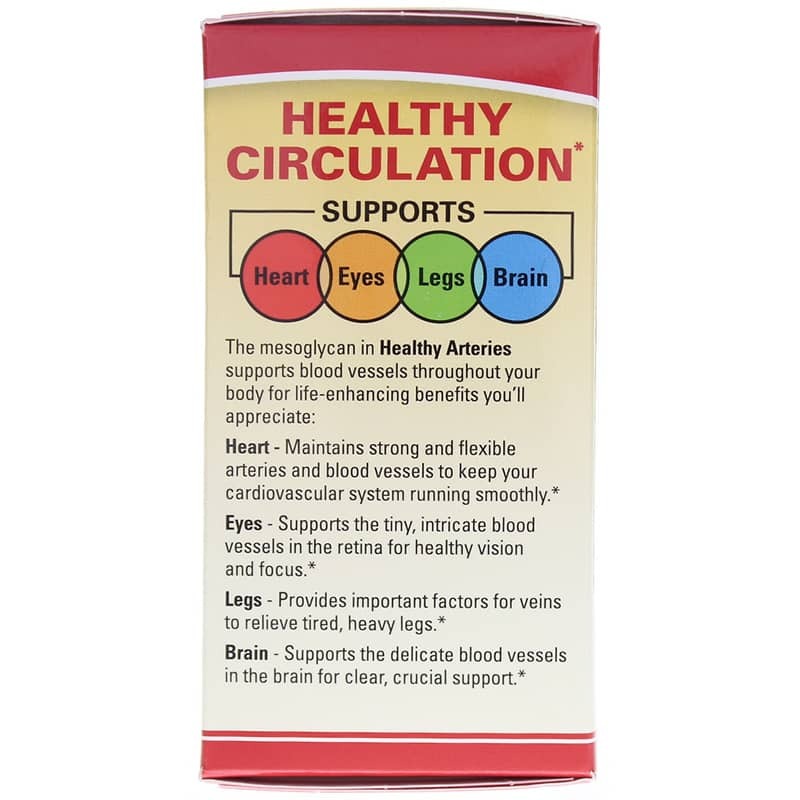 Promote healthy circulation with a supplement from Terry Naturally that contains an important nutrient for strong veins and arteries as well as proper blood flow. Certain conditions and the results of aging can lead to cardiovascular issues like the hardening of arteries and weakened blood vessels. 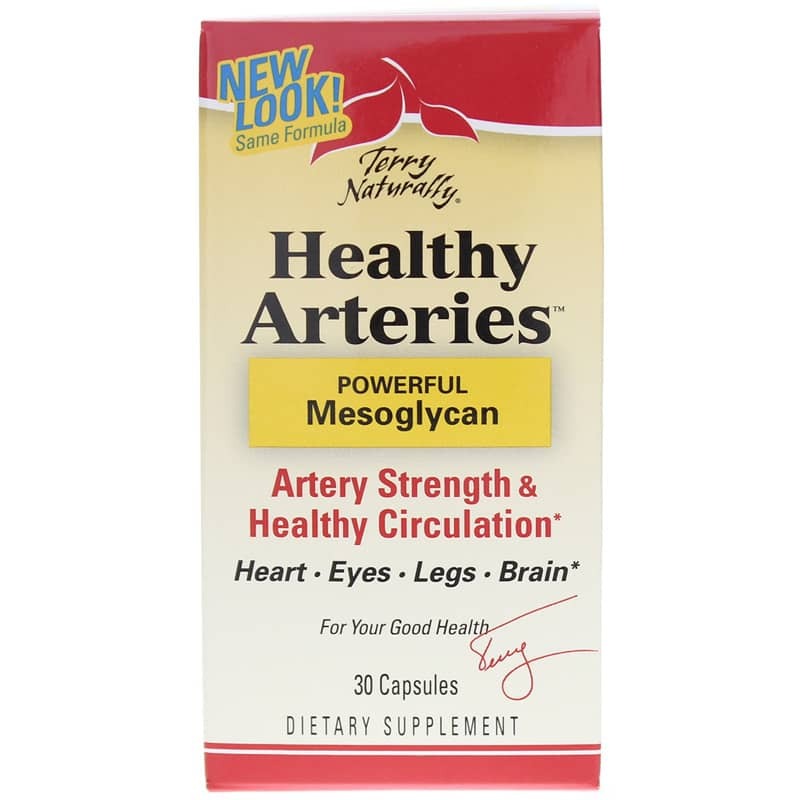 Healthy Arteries Powerful Mesoglycan provides support for your entire cardiovascular system. 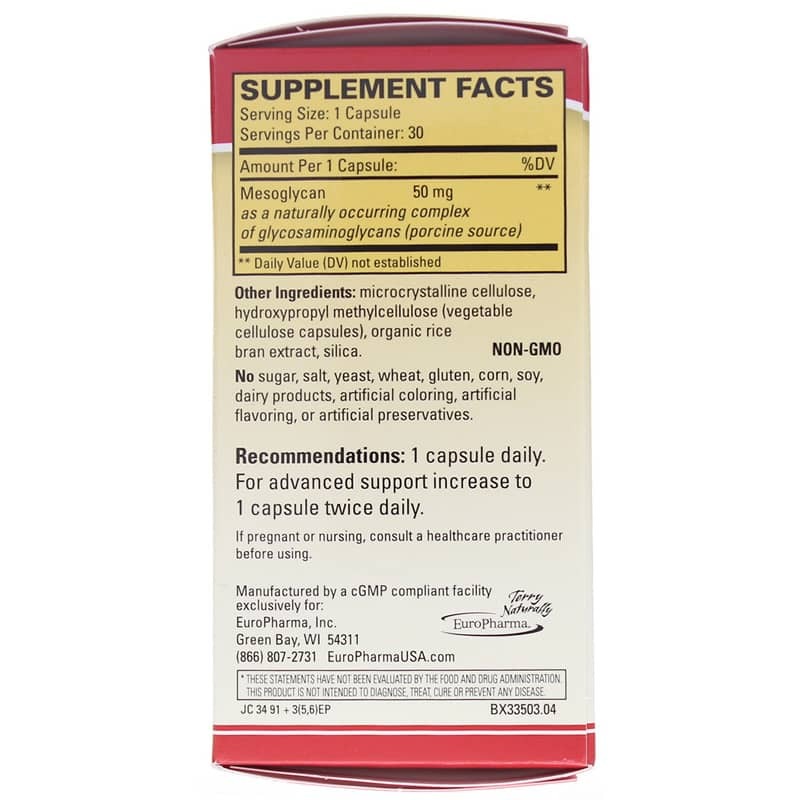 It delivers an excellent source of building blocks for blood vessels known as glycosaminoglycans (GAGs). Mesoglycan is a substance found naturally in your body - especially in your heart. It helps promote healthy blood flow by potentially improving the integrity of veins, arteries and blood vessels. Terry Naturally produces bio-identical mesoglycan compounds that can promote better circulation. 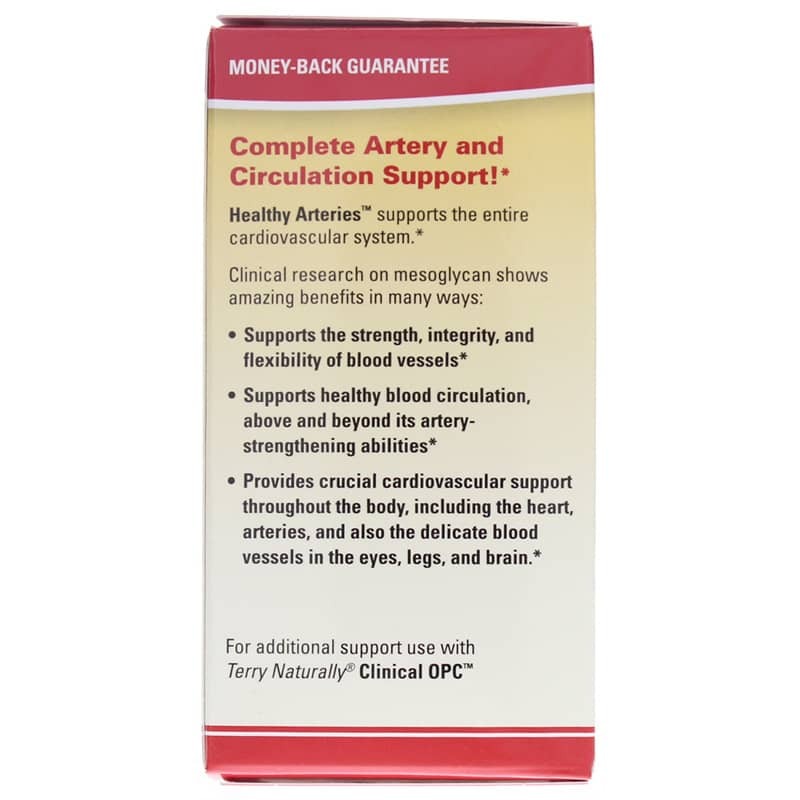 Try Healthy Arteries from Terry Naturally to sustain your cardiovascular system. Everything I ordered was delivered on time! My legs feel better when I use it.